There's a shop in Ame-Mura that has changed hands many time. 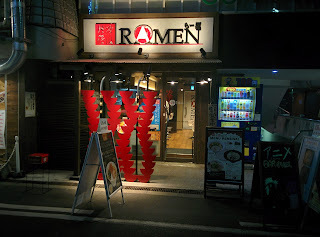 It was most recently Takumi Ichiban Ramen, but since then for some time it has remained as Mensho Shinoyama Ramen. 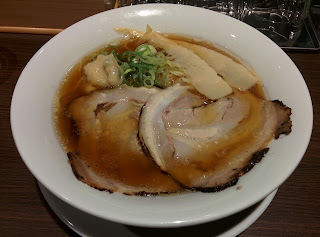 I finally made my visit, and ordered the shoyu Shinoyama Ramen. At first the broth was a sweet, feathery-light shoyu. The bowl came with a dollop of yuzu miso, though, which transformed the bowl into a richer yuzu experience. 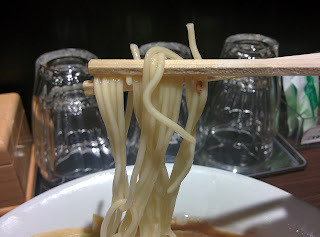 The noodles themselves were slightly too thick for the shoyu, and were much better with the yuzu mixed in. The chashu was nothing special, but the sweet bamboo shoots were an interesting change of pace from the normal menma. This was solid, but I wasn't blown away. Maybe I'll end up here some late night. 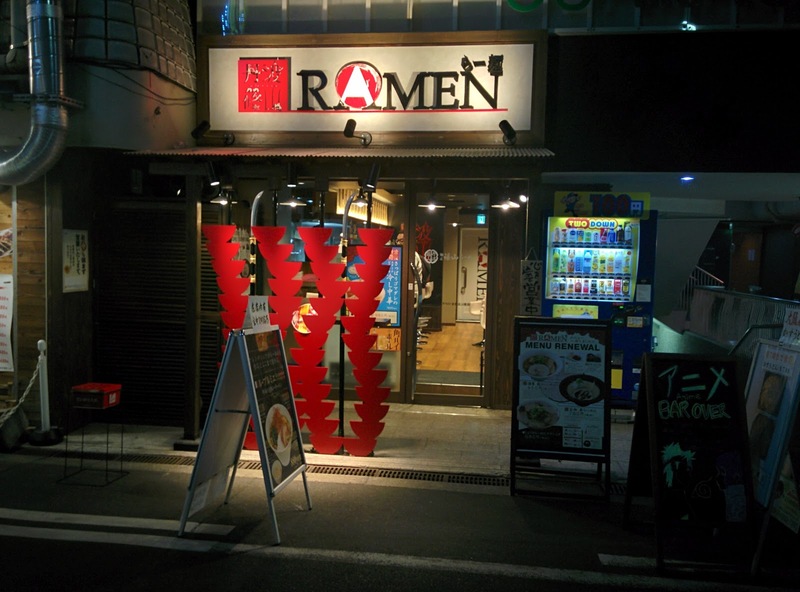 The best thing about Shinoyama is the convenience: it's a nice stop for anyone who wants to grab a quick bite in Ame-Mura.